Beef up the appearance of your Grand Cherokee with a Mopar body kit. 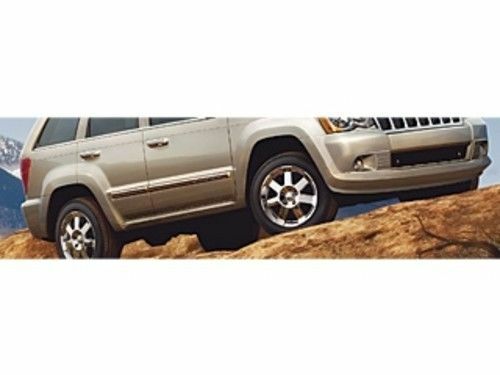 These body kits transform the look of your Jeep by creating a more ground-hugging appearance and converting your Grand Cherokee to a monochromatic style. 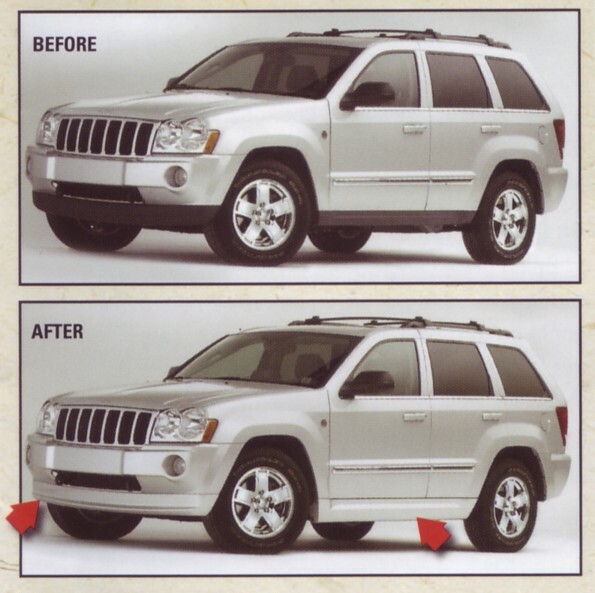 The kit includes a front air dam and side sill accent pieces that are painted to match the exterior of your Jeep. Because they're genuine Mopar parts, you know they'll fit right. No drilling is necessary for installation but you will need a rivet gun, also available from JustforJeeps.com. Get a brawny look for your Grand Cherokee with a body kit. Includes Front Air Dam and Side Sill Accent pieces. For factory colors please select color above. Please note that you will need a rivet gun to complete the installation (available for sale here).